Product prices and availability are accurate as of 2019-04-19 01:06:41 UTC and are subject to change. Any price and availability information displayed on http://www.amazon.com/ at the time of purchase will apply to the purchase of this product. 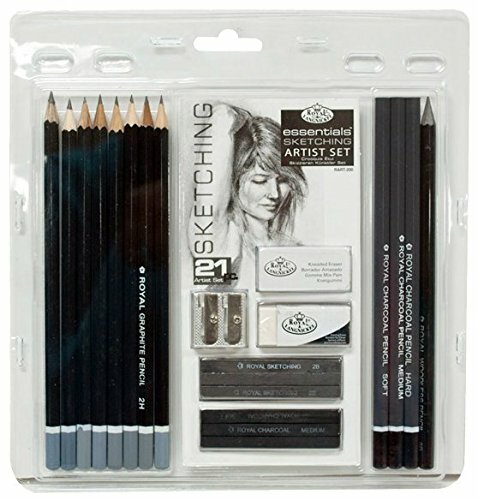 Royal & Langnickel Essentials graphite sketching set includes all the necessary tools needed to start your art adventure today. This set includes excellent quality graphite pencils, graphite and charcoal sticks, charcoal pencils, woodless graphite pencil, erasers, and sharpener for the pencil artist. This set is an exceptional value; it contains 21 high grade sketching tools packed in a transparent clamshell for storage and organization. 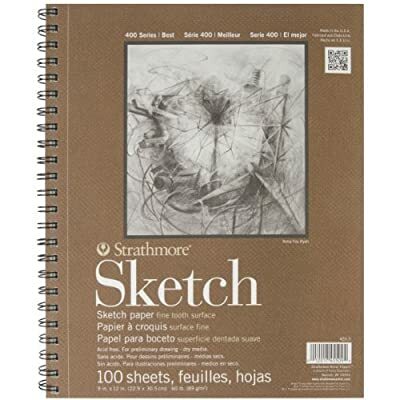 Strathmore Drawing and Sketching Artist Set Includes : Strathmore 9X12 Sketch Pad - 400 Series, Royal & Langnickel Essentials Sketching Pencil Set, and an Artists Draw String Back Pack Strathmore Sketch Pad - 400 Series- 9 x 12 inches Includes 100 sheets of paper 60-pound weight paper, lightly textured Royal & Langnickel Essentials Sketching Pencil Set - Includes 8 graphite pencils (4H, 2H, H, HB, B, 2B, 4B, 6B), 3 sketching sticks, 3 charcoal sticks, 3 charcoal pencils, 1 woodless graphite pencil, 1 white eraser, 1 kneadable eraser and 1 sharpene Essentials by Royal & Langnickel are the "must have" artist materials to begin exploring your artistic side Artists Back Pack Blue drawstring bag - approximately 15.5 X 13.5 inches PERFECT for carrying around your artists set when you are on the go!